Essential in the production of not only light, but also hydrogen and oxygen, the sun plays a primary role in sustaining all of creation across the globe. Swearing, “by the dawn when it breathes“ (“itha tanaffasa”), Allah reveals in the Qur’an the life-sustaining production of oxygen, which is performed only during daylight. Ceasing production as the night “closes in,” oxygen production once again resumes as the horizon approaches the dawn. Making up 21% of the air we breathe, oxygen is produced only during photosynthesis – a process used by plants to convert carbon dioxide (CO2) and water into sugar. The resulting sugar, glucose, becomes the nutritional fuel supplying plants with energy needed for growth. 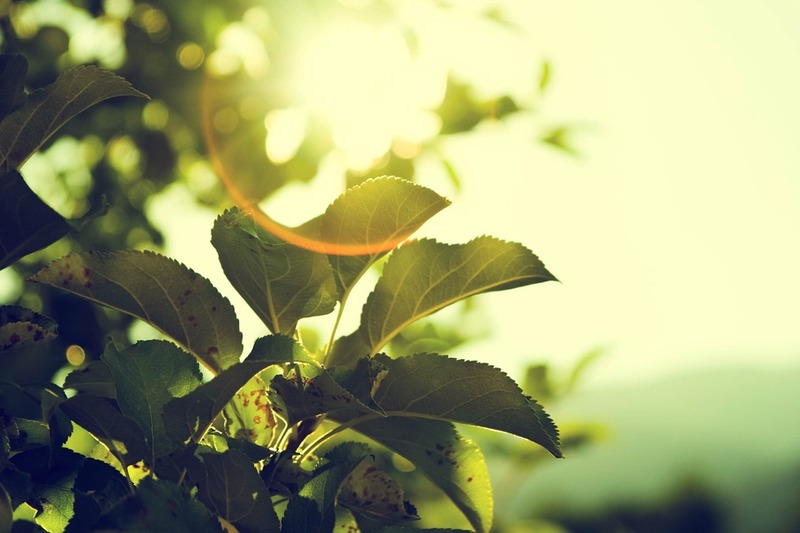 Only with solar energy can Earth’s plants perform photosynthesis, a respiration cycle of inhaling carbon dioxide and exhaling oxygen in the chemical production of glucose. 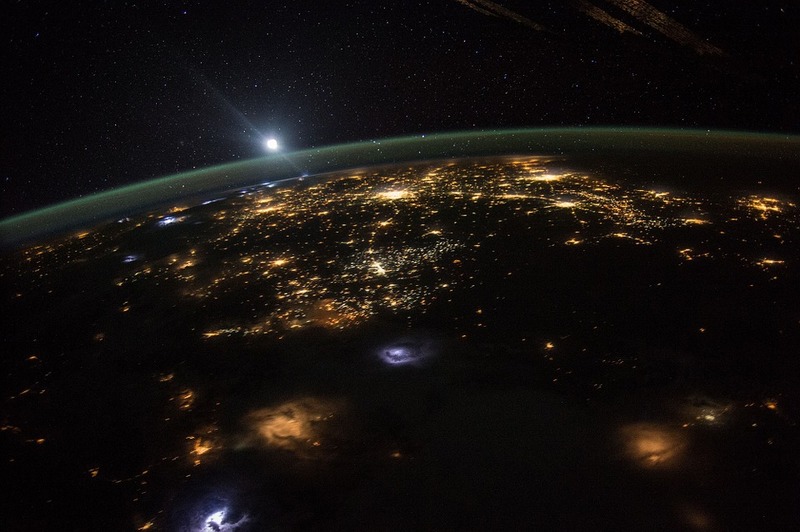 Thus, the oxygen in Earth’s atmosphere could not be produced without the daily dawning of the sun. Just as the daily dawning of the sun is critical for the process of photosynthesis, so too is the nightly approach of darkness. As the Qur’an reveals in the above verse, the two phenomena are paired in a joint relationship: As the darkness “closes in,” the absence of light halts the cycle of glucose production, and reverses the cycle of respiration. At nights, plants, just like humans and animals, inhale oxygen and exhale CO2. As discussed by the scientific research team at Istanbul Quran Research Association (IQRA), in Respiration and Photosynthesis, identification of the scientific process now known as photosynthesis is fairly recent. A research team led by American Chemical Engineer Melvin Calvin was awarded the 1961 Nobel Prize for Chemistry for work on photosynthesis. 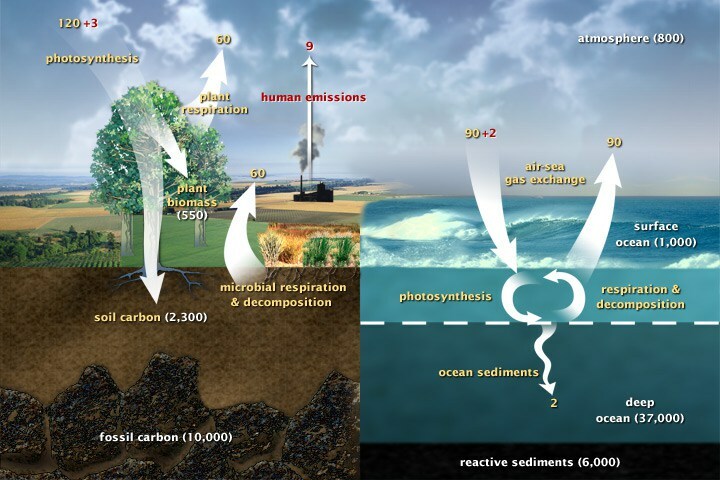 Carbon cycles through Earth’s atmosphere geologically and biologically. The geological, or Slow Carbon Cycle primarily involves carbon compounds expelled by volcanoes, eroding from land into the ocean, sinking to Earth’s mantle and once again expelled by volcanoes. 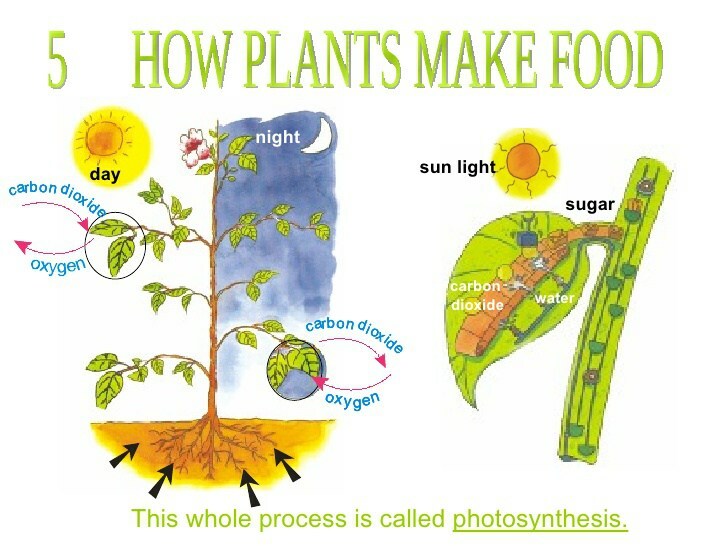 The biological, or Fast Carbon Cycle, primarily involves photosynthesis. Riebeek reports the two most significant components of the fast carbon cycle are respiration of land-based plants and microscopic organisms in the ocean, called phytoplankton. Providing an excellent fuel source for growing plants, the bonds of carbon molecules are highly-energized. However, without the catalyst provided by sunlight, and the resulting oxygen generation during photosynthesis, the chemical energy to sustain life can never be released. In Egypt, Eid celebrations mark the start of national week-long vacations. Most work grinds to a halt, many stores are shuttered, streets have far less traffic, and fireworks sporadically light up the night skies. More weddings are scheduled for the festive time of eid than any other time of the year, as well. Every year during Eid al Adha in Egypt and all over the world, Muslims practice “Qurbani.” This is the ritual sacrifice of animals, in commemoration of Prophet Abraham’s willingness to obey God’s command. To non-muslims, it may seem strange to learn that this ritual is a rich and beautiful expression of God’s mercy. 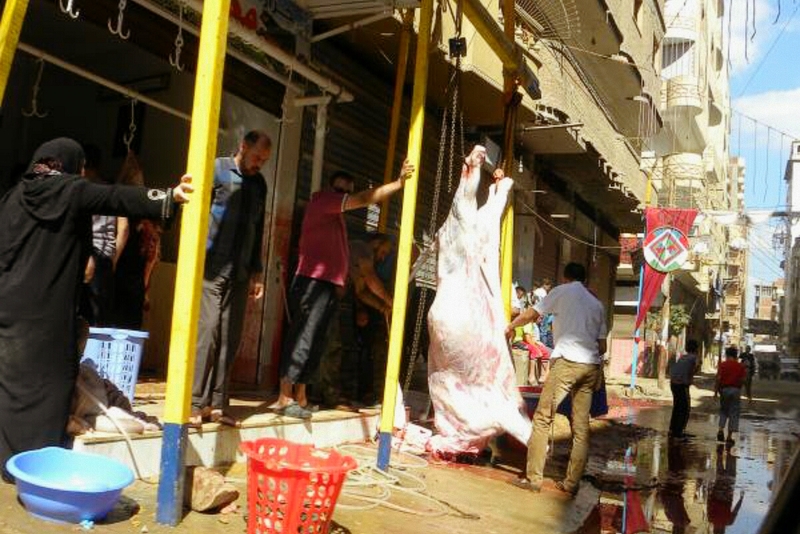 Can the ritual sacrifice of animals in the streets generate an environment of peace? Yet, this is exactly the case during the Muslim Eid al Adha. Whole communities become visibly enveloped in a unified outpouring of celebration and generosity. 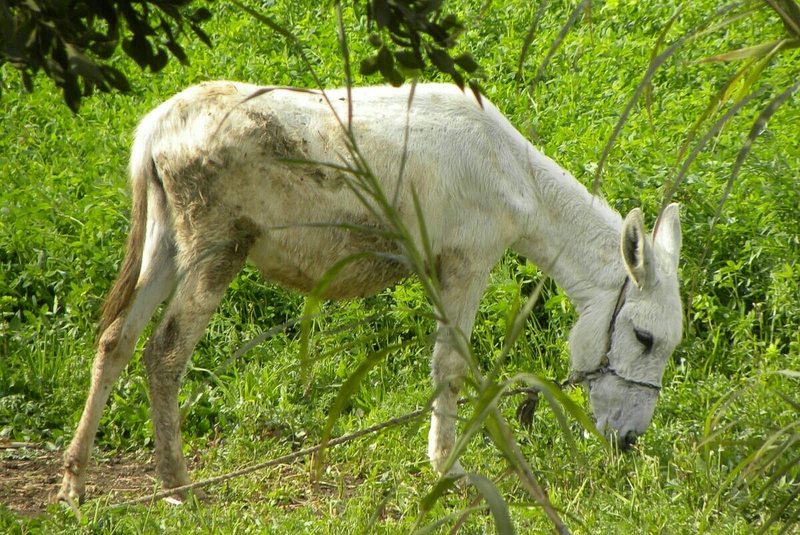 Possibly the “greenest” animal on Earth, the humble donkey has enjoyed a very long residence in Egypt, where it is believed that donkeys were first domesticated around 3,000 BCE. A five thousand year history of supporting humans in their daily endeavors is strong testimony to their sustainability, as well as the sustainability practices of Egyptians. Donkeys figure frequently in Jewish, Christian and Islamic Scriptures. 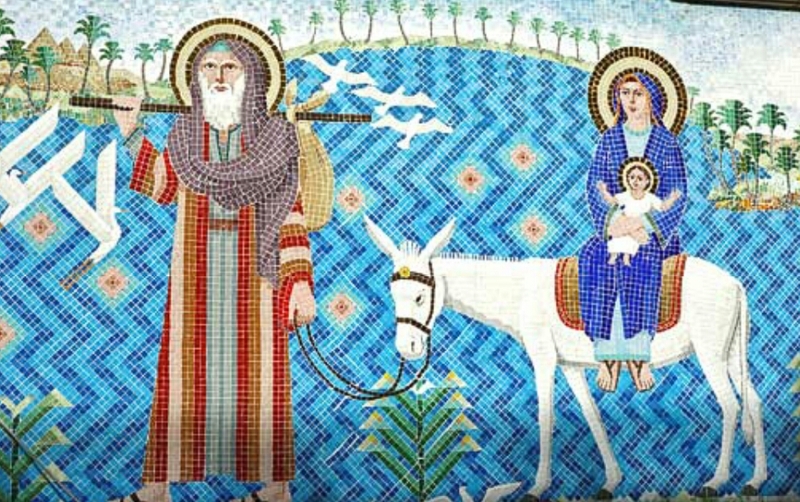 Perhaps the more famous scriptural account of a donkey in Egypt is the flight of Mary holding the baby Jesus (God’s Peace be upon him), as Joseph leads them out of Nazareth and into Egypt. They also depart Egypt in the same way, a few years later. 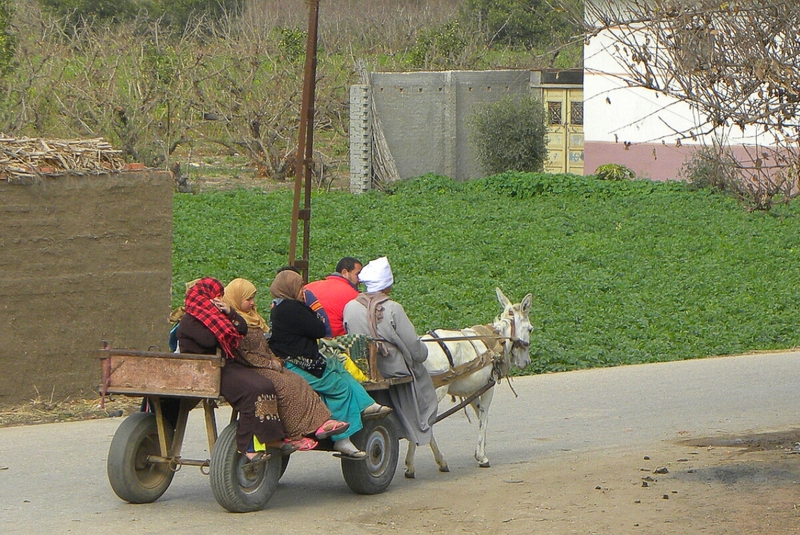 Especially in the countryside, where the agricultural way of life is more common, it often seems there are more donkeys in Egypt than cars. There is a very special relationship between a farmer’s family and their donkey. Donkeys are able to find their way into the fields, going where no car or truck can go. They feed themselves politely from the field while the farmer is loading up their backs with bundles. They are the most patient of companions, traveling daily back and forth from home to field and from field to market, and finally from market back to home. 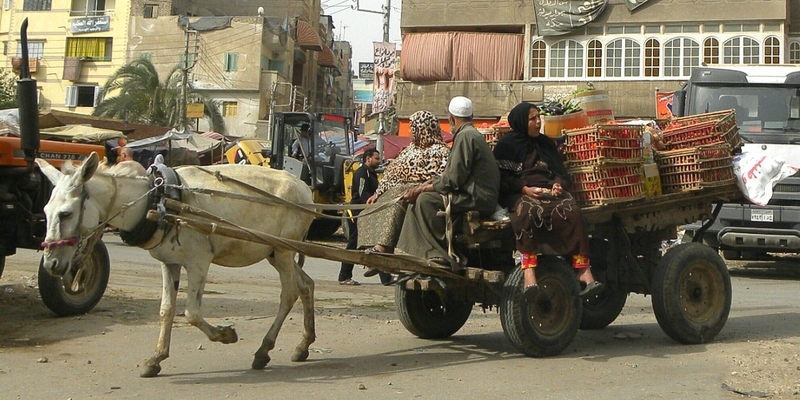 They obediently carry whatever is required, patiently pulling a cart or a piece of farm equipment, and the sound of their clip clopping hooves on the street as they pass is very quaint and charming. 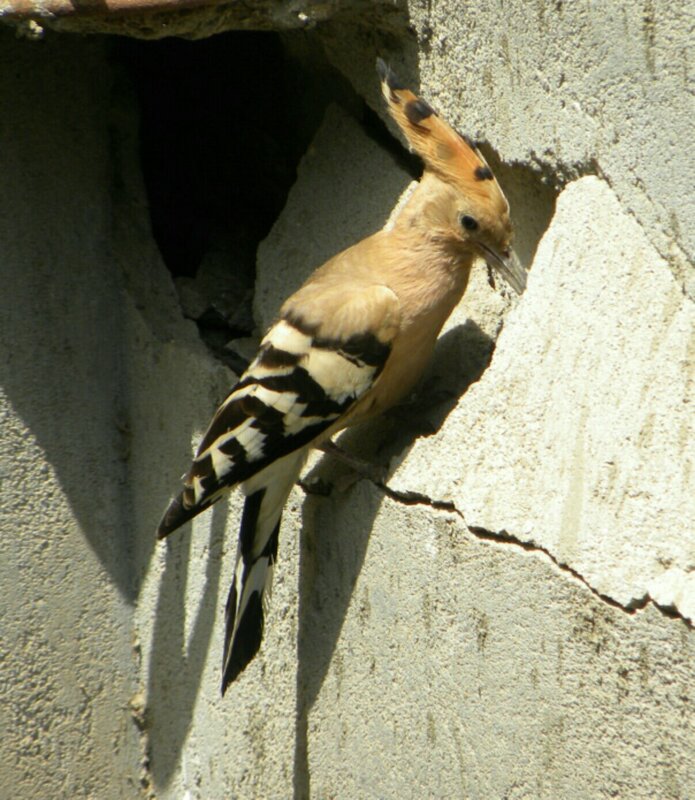 Sustaining the environment, however, hinges upon sustaining the people and animals within it. Appreciating the importance of our dependence on work animals in the adoption of a more green lifestyle is critical. Labor performed without gas guzzling machinery, and transportation provided by sustainable energy will always require an ingenious mix of new technologies, like wind and solar power, and age old traditions, like donkeys and other working animals. Keep up to date with all the eco-spirituality news on EdenKeeper. Subscribe to EdenKeeper’s newsletter to never miss a story. 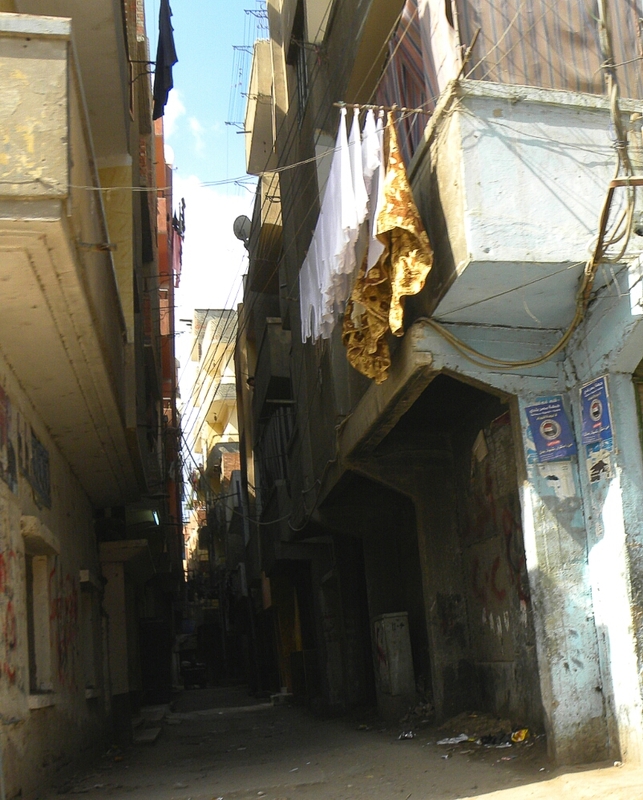 I’d love to share with you this great new technology that Egyptian researchers have designed to brighten up dimly lit streets and alleyways blocked from the sun by overcrowded conditions in high rise urban centers. My latest article published on EdenKeeper.org can’t be posted entirely here on my blog, but it can be “reposted” with a synopsis, and I think you’ll find it interesting! I’m also throwing an Award Party down below, so I hope you’ll stay for the free food and fun! This nice little guy is a frequent visitor around our farm. Most of the time, I hear him before I see him, because his colors make him blend in with his environment so well. “Hooooodhoodhoodhoodhood!” He announces his presence happily, not loudly, but subtly, serenely, wherever he goes. Usually five times in quick succession, and the first “hood” is drawn out, while the last four follow like quick drumbeats. I feel he’s a very peaceful bird, traveling calmly from here, to there, and on to the next place, with great interest in his surroundings. He never stays long, but his song remains always in my ears, hoping to catch it, and a glimpse of him, again!